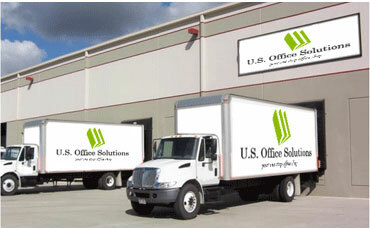 U.S. Office Solutions is a small business found by people who believe in providing quality customer service, office products and daily on demand services to all level of businesses and government agencies. We provide the same products as industry leaders and a dedicated work force. Two of the hallmarks of U.S. Office Solutions are its incredible turnaround time and the premium it places on customer satisfaction. Those trademarks coupled with its ability to offer competitive pricing make it a cut above the rest. expanded our product offering and services to our commercial and government customers. We didn’t set out to be the biggest in the industry but the best. Our staff is engaged and driven to provide you that one of a kind customer service. Satisfied customers are the most important asset of any business. Our mission is to understand their needs, values, fears and goals. We must learn to see through their eyes. If we serve customers with creativity, compassion and competence the competition may catch on…but they will never catch up.